Considered one of the most natural Key West wedding photographers, Gail Hollenback provides candid, unforgettable photographs to couples in Key West, Florida and The Florida Keys. Gail’s focus is to capture the widest variety of moments and emotions transpiring during the wedding. Her style is natural, unobtrusive and emotional and showcases beautiful storytelling without all the trendy techniques of post-processing and artificial effects that are so common these days. Her clients love Gail for her stunning work and warm personality. Gail has worked as a full-time professional photographer and corporate photographer in Key West since 2004. Gail also provides gorgeous portrait photography services, family photos and corporate photography for clients in Palm Beach county. Gail’s husband Craig Hollenback, is a photographer and cinematographer and shoots second camera with Gail at all Key West weddings. Together they are a perfect team to capture destination weddings. Gail and Craig are both visual thinkers and met at Parsons School of Design in NYC where they were trained in professional photography and design. They have been in business together twenty nine years. 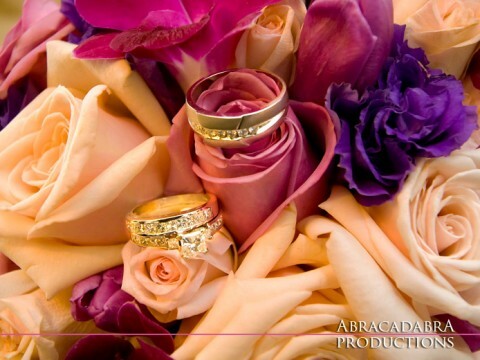 Their company, Abracadabra Productions provides wedding photography and wedding films for Key West and The Florida Keys.